Discover the new simple way to create your own graphics in just seconds. A simple solution designed for the modern world. This is not Photoshop. We're built on a different philosophy. Every few months, somebody comes up with a new graphics design solution claimed to be the next Photoshop. And every time, all you get is a cheap watered-down clone. We believe that if you want to spend hours searching for the perfect stock photos and carefully layer them together, Photoshop will always be the best choice. The beauty of simple tech... An innovation of modern art. We believe that everyone has the potential to create amazing things, but too many people get held back by the cost and complexity of professional design tools. We've broken down these barriers so you can create your own graphics quickly and easily. You'll be the expert. We'll bring the expertise. We've spent years professionally designing graphics for our own sites and tracking the results. We know what works and what doesn't, and we've used that knowledge to create the images and templates that are available to you in Instant Banner Creator. 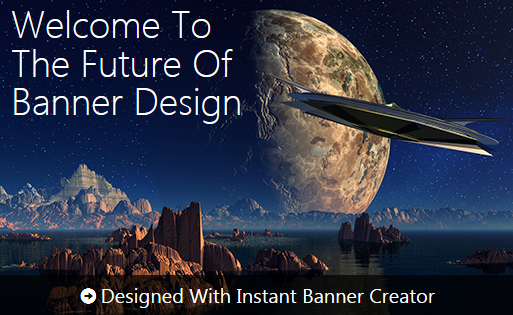 Experience Instant Banner Creator For Yourself. We know we're promising a lot here, but just give us 5 minutes of your time and watch this quick video. 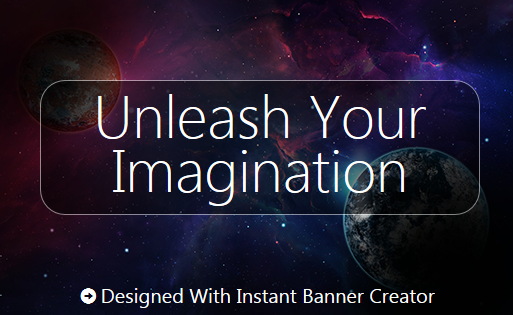 We'll show you how Instant Banner Creator is different from what you've seen before. 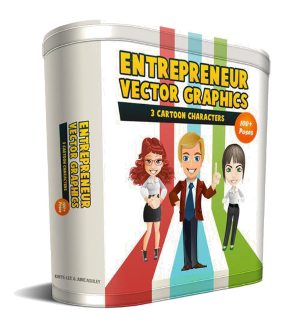 Entrepreneur Vector Graphics: high quality cartoon characters. Use these high quality cartoon characters on your sales pages, blogs, information products, covers, banners, advertisements, presentations, and more. Entrepreneur themed characters styled in various poses for just about any occasion. 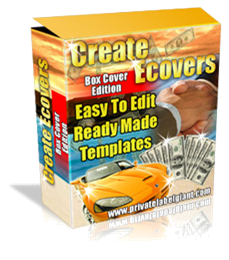 Create eCovers & Software Boxes: 3D eCovers. Easily take the graphics you have created using Instant Banner Creator, and convert them into 3D eCovers or software boxes. © 2008-2016 Instant Banner Creator. All rights reserved.